I have been using the Compass Antelope Hill tires for a few months now and gave them a seriously good testing a couple of weekends ago in Le Petit Brevet. There will be a post about that soon. Nominally 55 mm, but actually 53 mm wide on my rims. 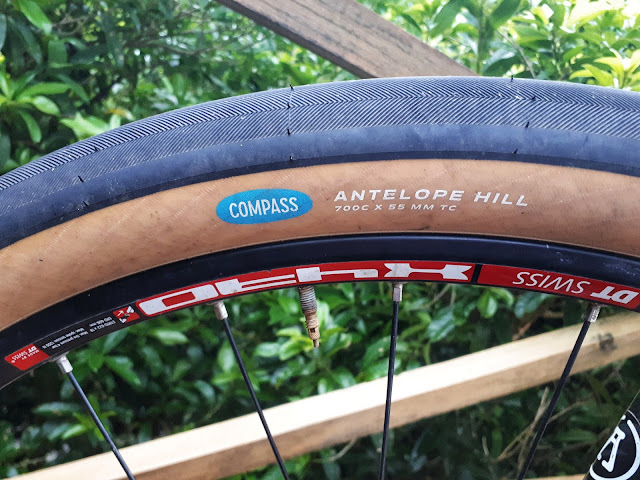 They are very similar to the Compass Rat Trap Pass tires I have been using for a couple of years, the main difference being that they obviously don't spin up as quickly as the smaller 26 inch variant. They roll pretty well, similar to a Stans Raven, maybe a tad faster given their lack of any real tread. Le Petit Brevet was a pretty good test for these tires. A reasonable amount of seal, a lot of gravel, a good amount of grass. Lots of uphill, lots of down and a smattering of flat. I did 289 kms with 7900 metres climbing with no issues at all. 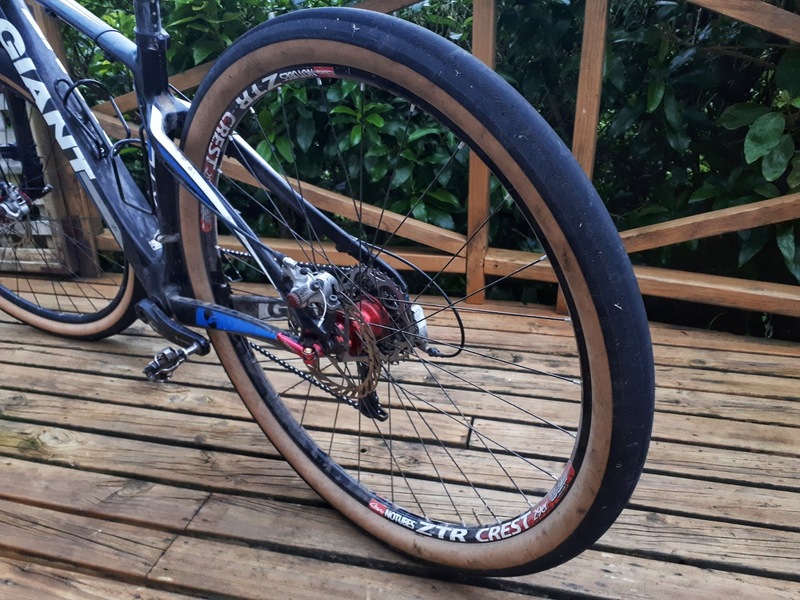 I was very luck to get dry weather for the whole ride and only once experienced one skid while descending on some damp grass in the evening. 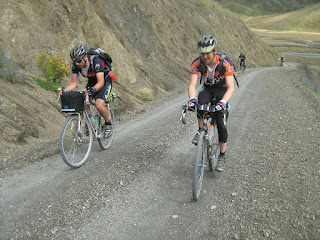 They coped with the gravel descents and the gravel climbs really well. On the steepest climb I could hear the knobbly tires of one of my riding buddies slipping, while the Antelope was still riding smooth. I upped my front rotor from a 160mm to a 180mm for this ride as well so there was some "spirited braking" going on. 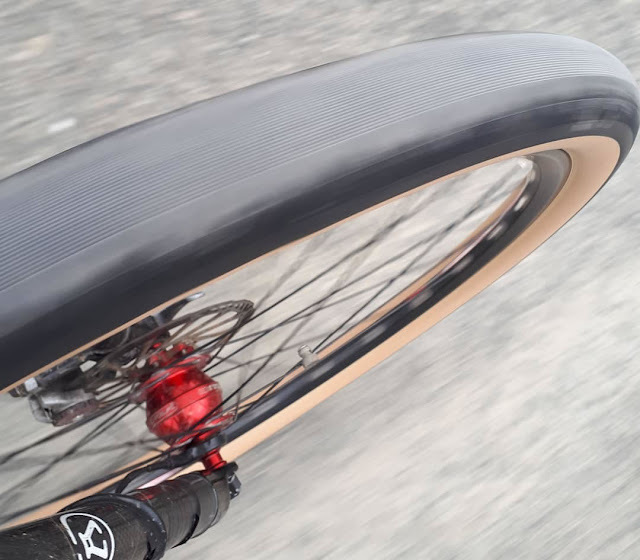 I rode with 30 psi (with tubes) in both ends. I could have gone with a bit less but was happy to have a bit more air when I came to a complete halt after banging into a rock on one occasion. These tires are pretty expensive by the time they get to NZ, but then a lot of tires are. If they wear as well as my Rat Trap Passes have I will be pretty happy. They have a good thick centre area. The only punctures I have ever had on my RTPs were caused by thin pieces of wire. Reported weight is 535 grams for the standard weight and 465 grams for the light-weight.